Agastache is a perennial plant with lovely flower spires that bloom all season long. The blooms are commonly purple to lavender in color but may also bloom in pink, rose, blue, white and orange. 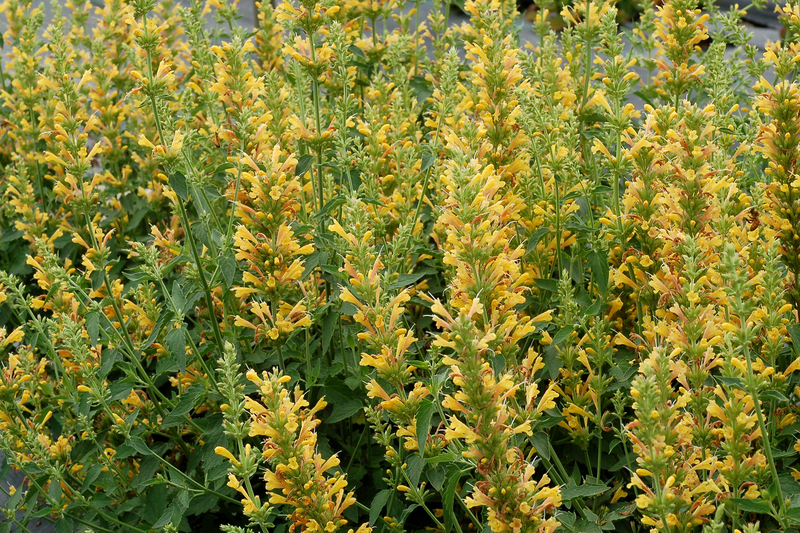 Agastache is in the Hyssop family of herbs and makes a flavorful tea. It is a striking plant that has many varieties, some of which are hardy perennials and others that are frost tender and grown as annuals in cooler climates. The leaves of Agastache resemble catmint and are a dull green with heavy veining. The blooms have the appearance of being coated with fuzz because they are comprised of many tiny florets. The entire flower may be 3 to 4 inches long and begin to bloom from the top down. This means that the florets at the crown of the flower die out first, leaving tips that look slightly burnt. This just adds more interest to the Agastache plant. The plants can grow 2 to 6 feet tall and produces showy flowers until the first frost. Plant Agastache in a sunny to mostly sunny location with fertile, well-drained soil. If you periodically deadhead spent flower spikes, you’ll extend bloom by preventing seed set. Growing Agastache as a drought-loving perennial actually produces the best plants. It is tolerant of low water and poor nutrient conditions but provides you with a color display and enduring greenery for months. Provide plenty of water when plants are establishing but they can mostly fend for themselves thereafter. 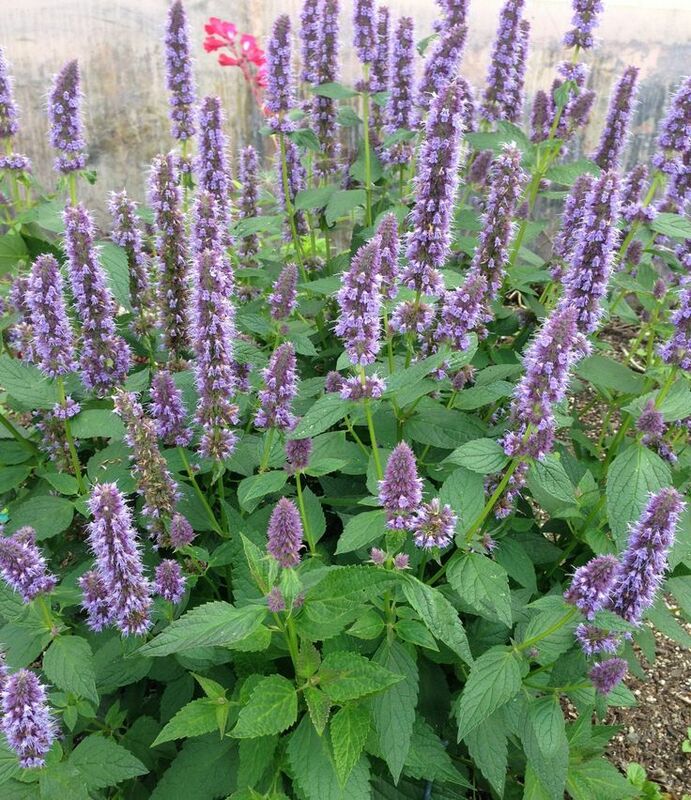 Agastache is relatively free of pests and diseases, with the exception of some fungal pathogens that can affect the leaves during hot, humid weather if air circulation is poor. Agastache are usually tall plants and their lengthy stalks show best at the back of a perennial border or lining a fence. They can be used in container gardens or in cut flower gardens, as the Agastache flowers are long lasting. These versatile perennials also work good in containers and are great for cut flowers. Hyssop flowers are attractive to hummingbirds, butterflies and other pollinators – and goldfinches love the seeds. Deer and rabbits do not seem to like Agastache, which makes it ideal for the woodland garden.